During the Fall of 2014, Youth EFNEP nutrition educators demonstrated delicious, affordable, and easy healthy snacks by serving ‘Amazing Apples’ to students throughout Contra Costa County. Amazing apples are amazingly delicious! 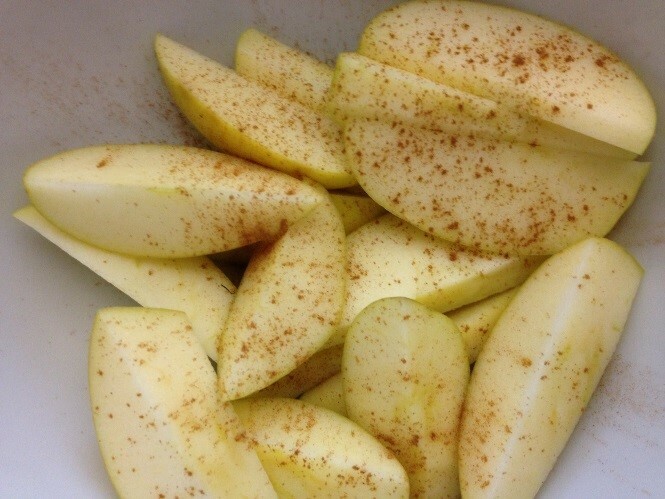 They are made by cutting apples into thin slices, squeezing on lemon juice, sprinkling with a little cinnamon, and then giving everything a shake to mix. During the Fall months, students from Kindergarteners to Middle Schoolers were excited by this new and delicious snack, and were excited to try making it at home. During winter lessons, students in every class reported making amazing apples at home, and many reported that their moms were making them for dessert. An additional surprise was that a year later, Mrs. Travers at Jack London school reports that she makes Amazing Apples ‘all the time’ at her house to share with her daughters.